Orly totally nailed it with their summer Baked collection. I haven't been this excited over a mainstream collection in a long time. Neons cremes are everywhere. I love neon cremes, but I get it. Been there. It's been done. Let's try something different. How about adding some shimmer into these neons? Orly, thank you! I have one of the standouts of this collection for you today. 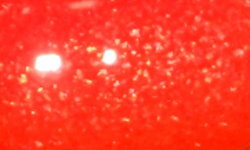 Ablaze is a neon orange with a golden shimmer. Color: Do I even really need to comment? 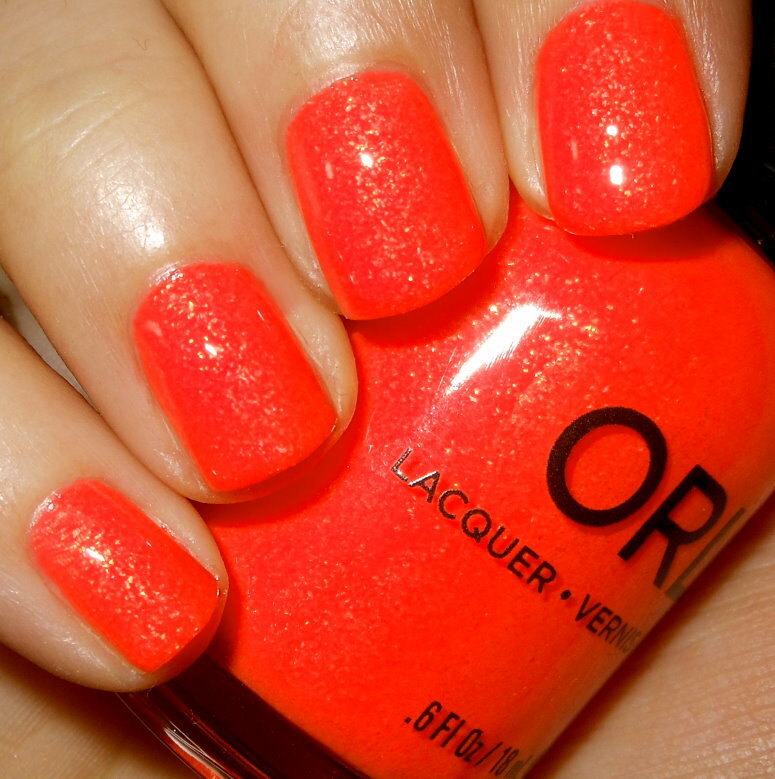 This is a fiery neon orange with a standout shimmer. I've seen shimmers in neons before that barely show on the nail. This shimmer isn't joking around. This is one amazing and incredible nail polish color. Formula: Excellent easy to apply formula. Zero complaints. I used 2 coats above. Price: I purchased this at Sally's Beauty Supply in the $7 range. Overall: Go out and get Orly Ablaze now. You need this. I think it's mandatory for every polish addict to get this color. This is an incredible neon! Must have. This is totally a contender for the Top 25 of 2014. I won't even call it a contender. This will be on the list. There is a spoiler for you. Get this polish! That is one fiery orange. I love it! Steph, Yes! This is a great summer color. The golden shimmer really makes the shade unique. I LOVE Ablaze. It has so much depth and intrigue!